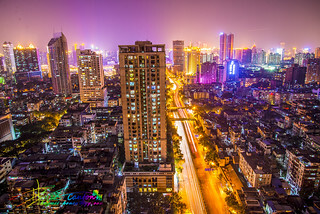 The capital of the Guangdong Province, Guangzhou is the third largest city in China. 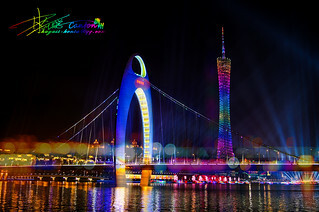 Located in southeast China, Guangzhou is modern and lively, with urban entertainment and features merging with natural and ecological beauty. Guangzhou boasts a population of over 11 million people who enjoy modern activities, but also appreciate the importance of traditions. For many visitors, the opportunity to visit the origin of Cantonese cuisine is a culinary experience not to be missed, while others appreciate the cultural attractions that the city offers. With its proximity to the South China Sea, Hong Kong, and Macau; Guanghzou has been dubbed the South Gate of China. Estimated to be founded during the 2nd century BCE during the reign of Qin Shihuang, Guangzhou was a strategic location for merchants of the Silk Road due to its immediacy to the South China Sea. 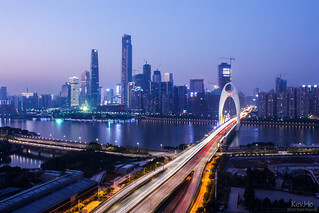 Long touted as one of China’s most significant trading cities, with a rich history of foreign merchants, the city has enjoyed a reputation as key global hub of commerce. The contrast of greenery and ecological attractions against the vibrancy of the modern city truly sets Guangzhou apart as a traveler’s paradise. Built during the Qing Dynasty, the Ancestral Temple of the Chen Family is a large historical estate and museum, spanning 19 buildings. It was originally constructed as a centre for members of the expansive Chen clan – being people of Chen, Chan, or Chang descent – when visiting Guangzhou for academic studies, or business purposes. In addition, it was a place of ancestor worship for Chen clan members. The most striking feature of the temple is the detailed craftsmanship and sophisticated level of architecture. Recently restored and operating as a museum, visitors can tour the temple and view historical artifacts firsthand, including: pottery, wood carvings, as well as jewelry. With a moment to relax, visitors can tour the six outdoor courtyards that are immaculately maintained and offer a spot for people to pose with sculptures and feed fish in various ponds throughout the gardens. Stretching more than 1,243 miles in length, the Pearl River is the result of four major river systems meeting and joining in Guangzhou, eventually streaming into the South China Sea. Named after a stone boulder in the riverbed that has been polished to pearly smooth perfection from the constant flow of river water, the Pearl River can be viewed and traveled along the 10 bridges that span its core. The third largest river in China can also be toured through ferry cruise ships, operating day and night. 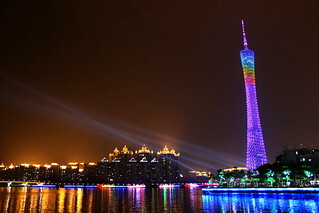 The city of Guangzhou lit up at night is a beautiful sight to be seen, and there is no better way to experience the skyline of the city than with a nighttime ferry cruise. Located in the southwest region of the city, Shamian Island (沙面岛) is a piece of paradise for the visitor seeking some time away from the hustle and bustle of the city proper. Originally used as a site for consulates and foreign merchants, Shamian Island can be reached through a ferry system, or an overpass bridge connecting the island to the rest of the city. 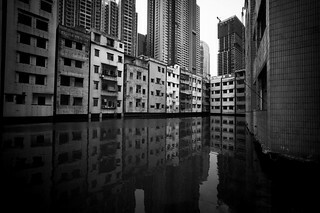 In stark contrast with the heart of Guangzhou that surrounds it, no buses or public transportation are permitted on the island itself. The serenity and greenery of the island makes it the ideal place to relax and unwind. It is easily walkable, being only half a mile long and a third of that in width. Due to its past as a base for the French and the British during the Opium Wars, architecture is influenced by European features, as evidenced in the churches and homes on the island. With several restaurants and cafes to nip into for a quick bite to eat, Shamian Island is an ideal slice of relaxation and leisure. Located just 10 miles north of Guangzhou, White Cloud Mountain (白云山) is a scene of natural beauty for both tourists and locals alike. Surrounded by urban development, the mountain is easily reached by taxi, bus, or subway. Take the cable car for a comfortable and breathtaking bird’s eye view of the mountain. Don’t forget to take some time to experience the local attractions, such as Nengren Temple and the Sculpture Park. As one of the largest wildlife parks in Asia, Chimelong Safari Park boasts thousands of species and rare animals, including pandas. The park also has popular interactive areas for visitors to feed animals such as elephants and giraffes. Chimelong Safari Park also boasts a circus, with a collection of rare white tigers. Hands-on exhibits, educational experiences, as well as a safe and entertaining experience for families and animal enthusiasts alike makes Chimelong Safari Park a must visit attraction. Guangzhou has a variety of pedestrian street markets for visitors to explore. Perhaps one of the most famous open air pedestrian markets in China, Beijing Rd. 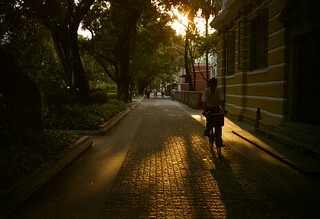 (北京路) is located in the heart of the city. Locals and visitors alike enjoy the energetic and spirited atmosphere of the market, with a wide-ranging assortment of products and shops. Both recognized brands, boutique shops, as well as independent mom-and-pop stalls provide shoppers with every type of product imaginable. Beijing Lu is an ideal place to pick up a traditional souvenir, such as a jade sculpture, jewelry, and even customary clothing. Operating from 10am to 10pm, shoppers have plenty of time to explore and shop. 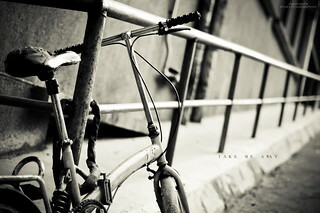 Remember, haggling is a must. Mouse Street Shopping Center (老鼠街尚品购物中心) is a premier destination for women who are seeking contemporary garments and accessories from modern local brands from China, Japan and Korea. With high style and fashionable aesthetics, but with prices averaging lower than can be found in Beijing Lu, Mouse Street Shopping Centre is generally very crowded and busy. However, for a unique purchase at an unbeatable price point, shoppers always find the crowds worth it. Great bargains can also be found at Shangxiajiu Pedestrian Street (上下九步行街), another popular pedestrian street market. Located at the intersection of Shanjiu Road and Xiajiu Road, this market has well over 500 shops. A key feature of the market is its blend of traditional Chinese architecture with European characteristics. Visitors can find an expansive combination of local and authentic Guangdong province products and shops, such as Guangzhou Department Store for Women and Children, as well as Hualin Jade and Jewellery Market. Generally, prices in Shangxiajiu Pedestrian Street are reasonably priced, but bargaining is encouraged. Known as being the birthplace of Cantonese cuisine, Guangzhou is a paradise for food lovers. Cantonese cuisine has a strong influence of slightly sweet flavors, as well as stir frying and steaming cooking methods. Originating in the Guangdong province, Dim Sum is the hallmark of Cantonese cuisine. Snack-sized servings of flavorful dishes, such as steamed shrimp dumplings, pan fried pork dumplings, steamed rice rolls, as well as sweet barbecue pork buns allow diners to sample various small dishes shared among friends and family. Many traditional restaurants still have various dishes stacked and pushed on stainless steel carts, allowing diners to pick and choose their dish and have it seasoned and prepared at their table. For the adventurous type, Qing Ping Market (清平市场) has a breadth of vendors with food items and ingredients that cannot be easily found elsewhere. Interesting finds such as turtle meat, cured sea horses, starfish, as well as a host of dried herbs and plants can be found — challenging even the most daring eater. Visitors wanting to experience a quintessential Cantonese dish should not miss the opportunity to try a roasted suckling pig (烤乳猪). Covered in a blend of sugar, oil, vinegar and spices and cooked rotisserie-style, the result is tender pork that has been cooked in its own juices, with deliciously satisfying crackling skin. For the foodie, the multiple flavors and textures that an authentic roasted suckling pig offers is not to be missed. Feeling a little bit peckish? Guangzhou is famous for its delicious and varied snacks. Huifu Snack Street (惠福美食花街) is a snack market paradise for the epicurean. The food vendors of Huifu Snack Street are renowned for their high quality products. Be sure to check out an authentic Guangdong egg tart (广东蛋挞) to whet your appetite. Guangzhou Baiyun International Airport is located 17 miles from the centre of downtown Guangzhou. Boasting more than 100 flight destinations, the airport is among the busiest in China, handling an average passenger volume of 25 million passengers per year. The airport touches all major cities within China, as well as direct flights to international cities such as Tokyo, Sydney, New York and Paris. Four passenger railway stations are available in Guangzhou. Guangzhou Railway Station and Guangzhou East Railway Station can be found in the densely populated urban centres of the city, while Guangzhou South Railway Station and Guangzhou North Railway Station are located on the boundaries of the city. Normal trains are available, as well as high-speed trains that connect to major cities such as Shenzhen, Zhuhai, as well as the departure point to Hong Kong. The Guangzhou subway system currently has multiple lines in operation, with expansions underway for additional lines. Since 2014, the government has pledged to invest a reported $200 billion yuan to construct an additional 258 miles of subway lines by 2018, making transportation to all points of the city even more convenient and seamless. The subway trains use Mandarin, Cantonese, as well as English when communicating with passengers, making it possible for most English-speaking passengers to easily navigate the stations and subway lines. Shoppers can make their way to Beijing Lu by taking the subway to either Gongyuan Qian or Beijing Lu stations. Be sure to get the excellent and free Explore Guangzhou Metro Map app (Android/iOS) before you go. Guangzhou has a broad network of city bus lines, with over 450 lines in operation. In addition to traditional commuter city buses, there are also tour bus lines that operate, taking passengers to view city attractions. Departing from the Chigang Bus Terminal, Bus No. 131A and Bus No. 131B take visitors on a lengthy tour of the Pearl River, traveling along the banks and covering attractions such as Xinhong Garden and Beijing Road. Tour Bus Lines 1, 2 and 3 depart every 30 minutes to cover destination stops that include White Cloud Immortals Temple, White Cloud Mountain, as well as the Ancestral Temple of the Chen Family.